In this section, you will find beginner and advanced videos tutorials related to programming. 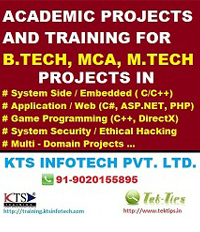 All the tutorials are accompanied with a YouTube Videos along with its source code. We hope the videos along with the tutorial and source code will help you to quickly grasp a concept compared to the traditional way of learning tutorials with only text content in the article. Bookmark this page for your ready reference. 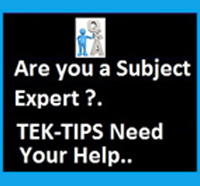 => Subscribe to our TekTips YouTube Channel Here so as to get new video updates or to directly view all programming related TekTips videos from YouTube. 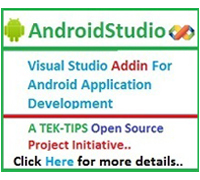 => Like our TekTips Facebook Page so as to get Website updates automatically on your Facebook Wall.